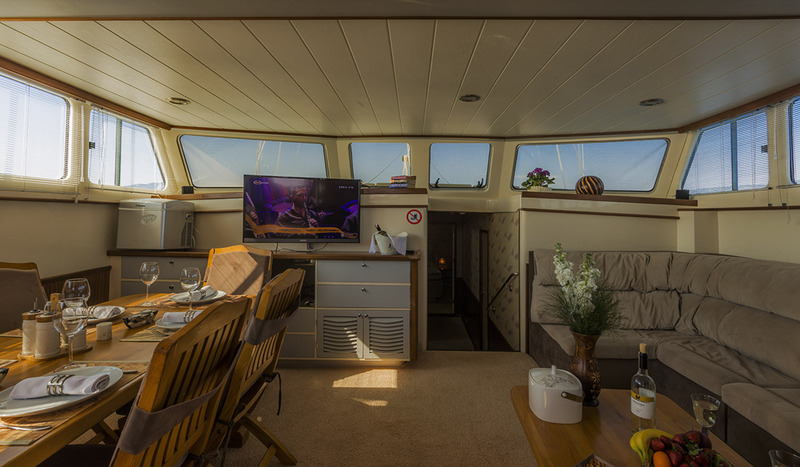 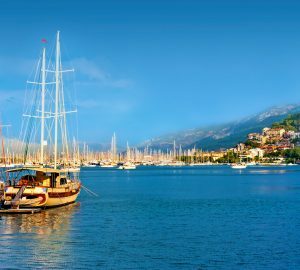 The yacht offers a warm interior decor with contemporary finishes, her raised salon and open plan dining is surrounded by windows, bringing in great natural light. 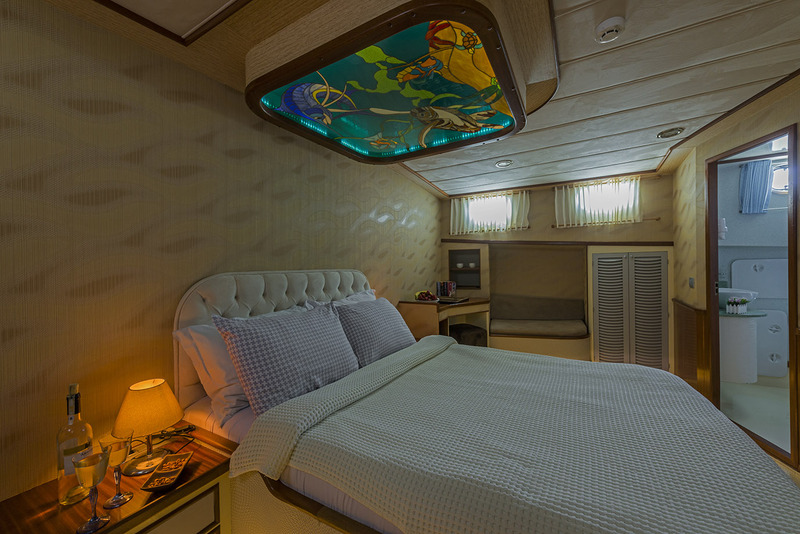 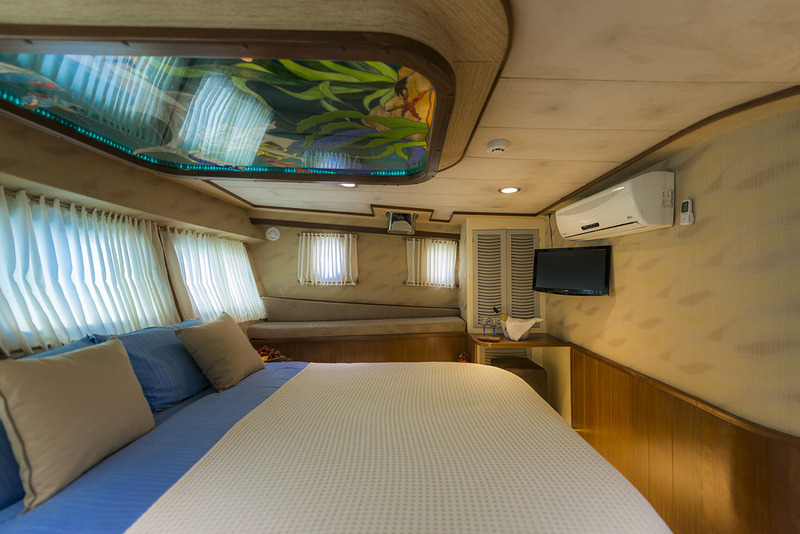 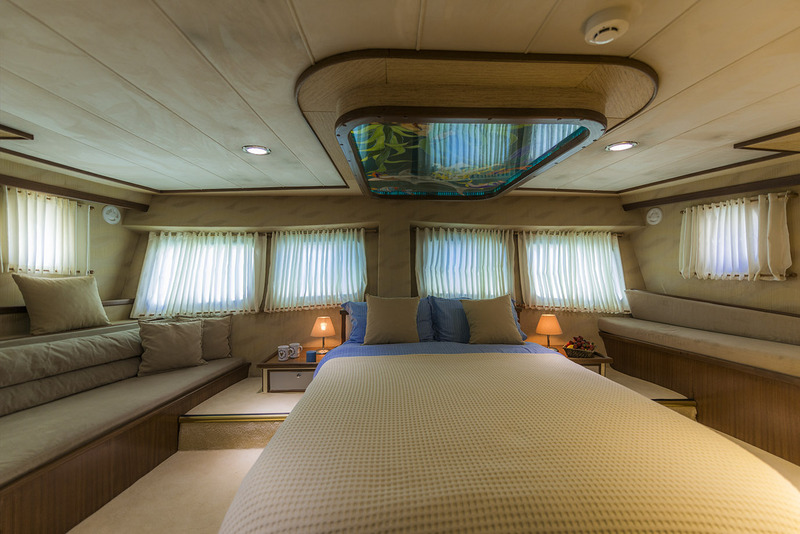 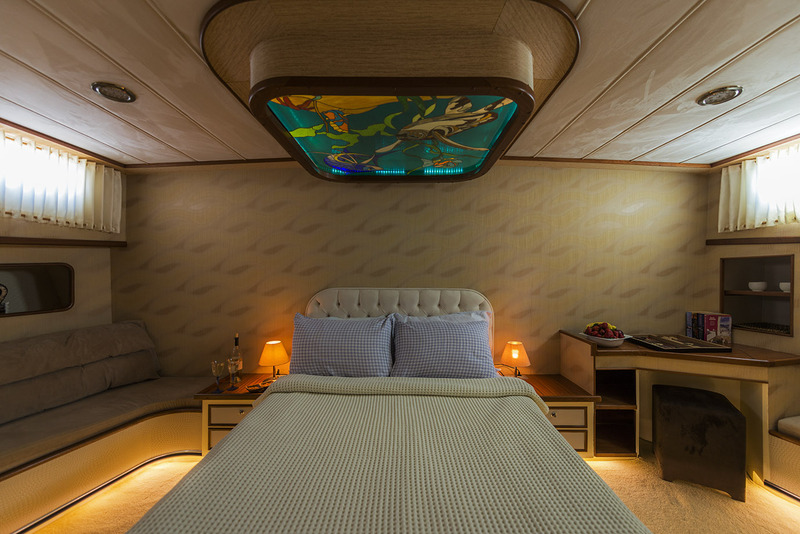 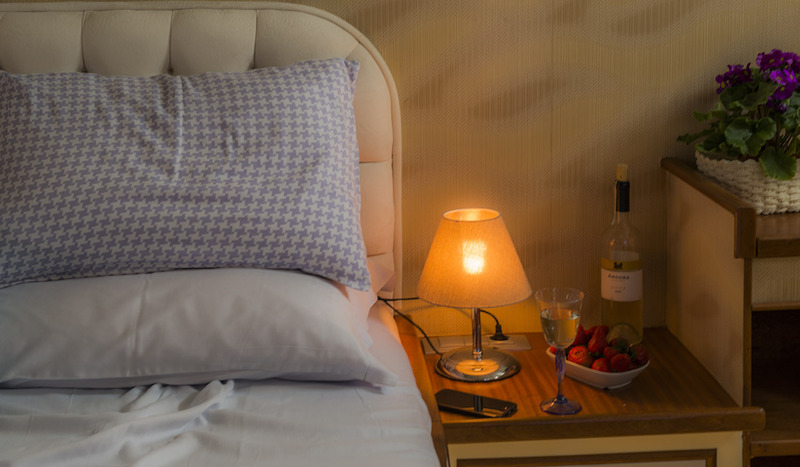 Below decks, there are 2 full beam master staterooms as well as a double and triple cabin. 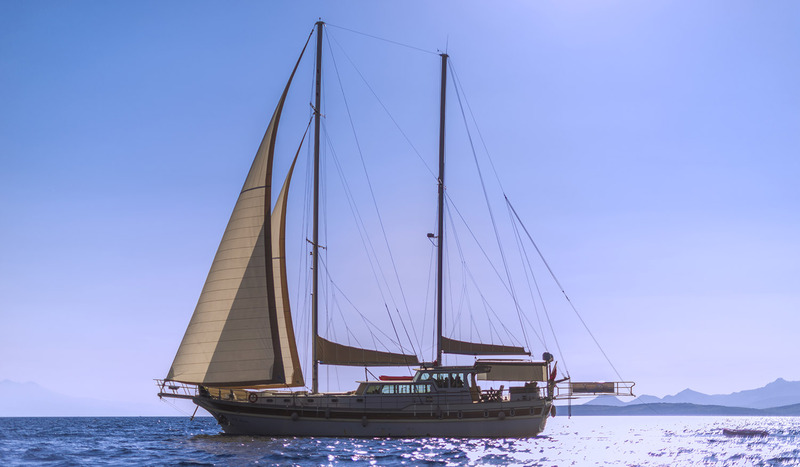 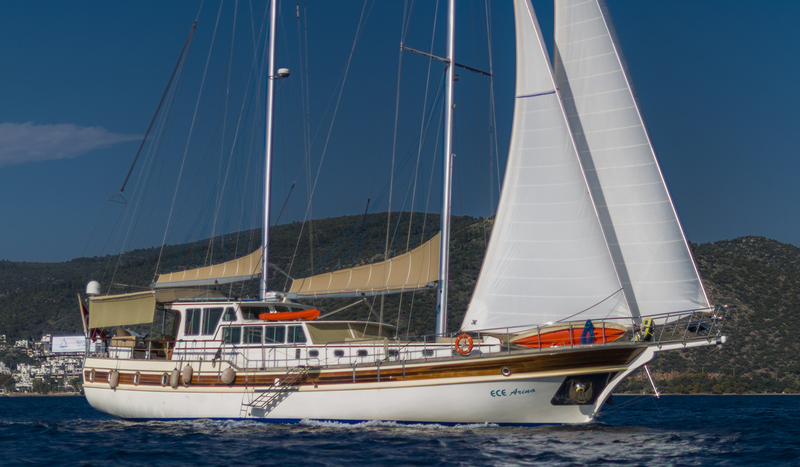 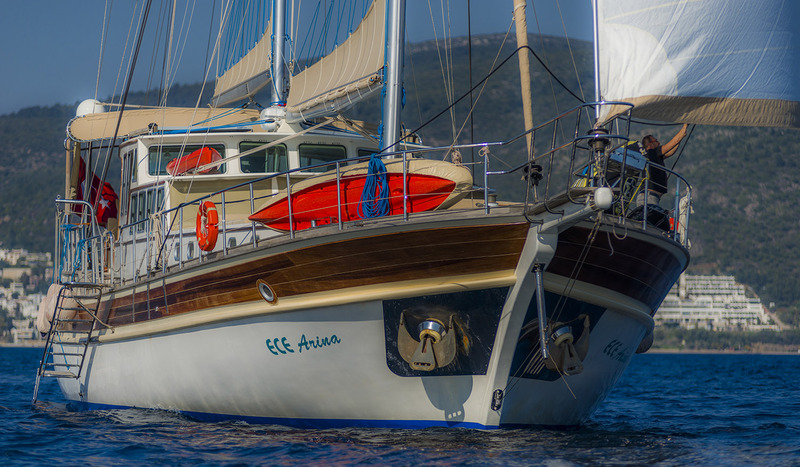 On deck, ECE ARINA has plenty to offer whether charter guests wish to sit back and relax or entertain with family and friends. 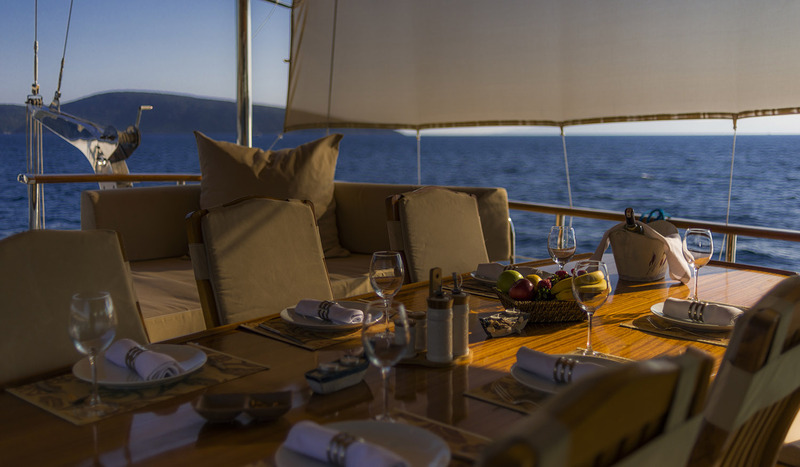 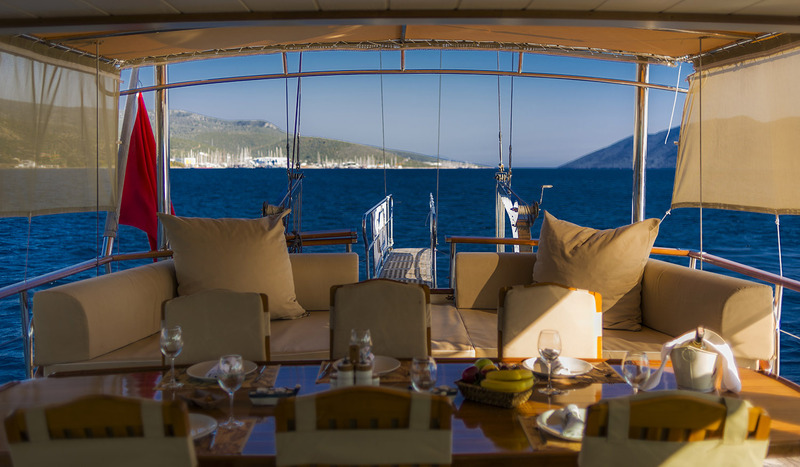 The aft deck is shaded and boasts alfresco dining and a large aft seating space that is perfect for unwinding. 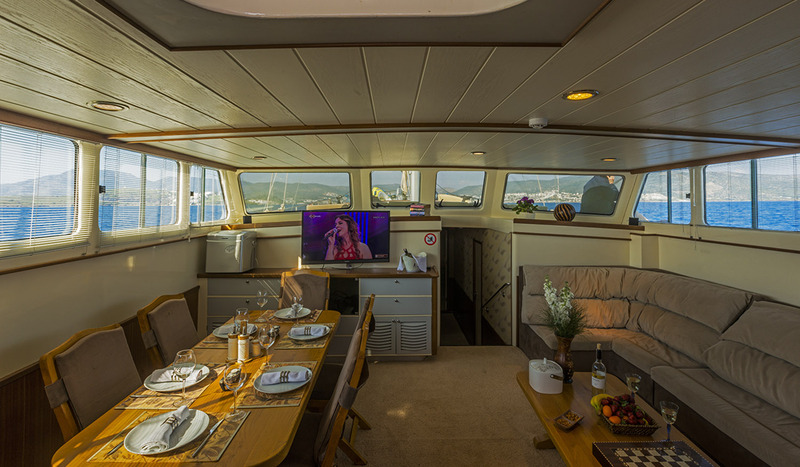 Side decks lead forward, where there are ample sunpads on the cabin house and further sitting areas on the foredeck. 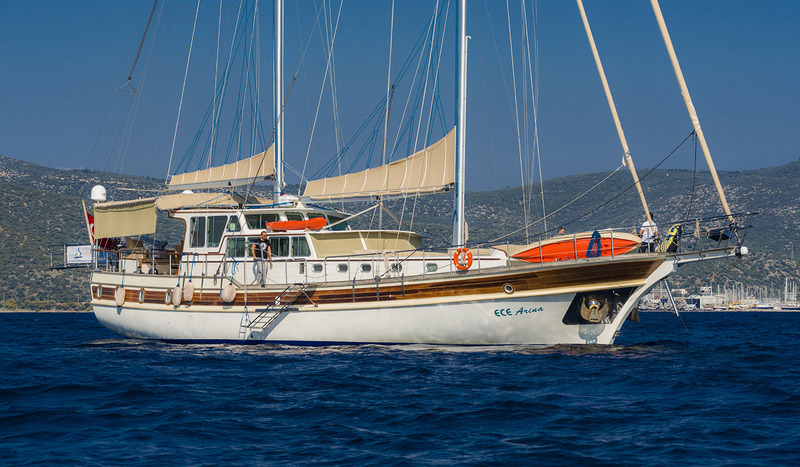 Her engine is a Scania 370hp, providing speeds up to 9 knots.